When I was just a teenager, my father, who was a COO at Privredna Banka Zagreb came home one day proclaiming that he has no other choice but to quit his job as an executive. 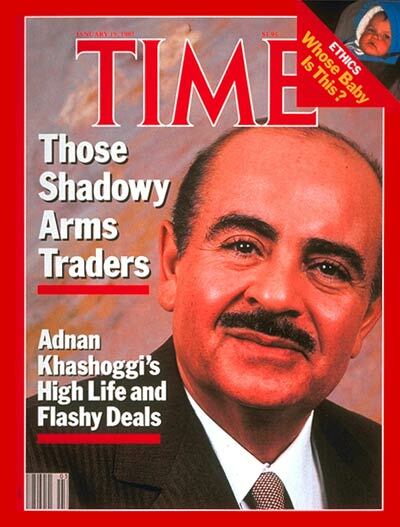 “The rulling party is making me sign illegal papers transferring large amounts of money,” he said in early 1991. He quit his job that winter. By June 1991, there was a civil war in the Former Yugoslavia. Some other coworkers of his did not quit their jobs, and this is what begun happening in Croatia. Please watch Domagoj Margetic’s speech and questions and answers session on this day, April 23, 2013. This is the day, when the sun started shining and wrongs were unveiled. Croatia a Banana State: in Which the Most Underaknowledged Asset is the Truth. Domagoj Margetic, Strikes with Hunger Day 22.
spread this information about petition and inform the media in your country about horrors which are happening in Croatia right now. 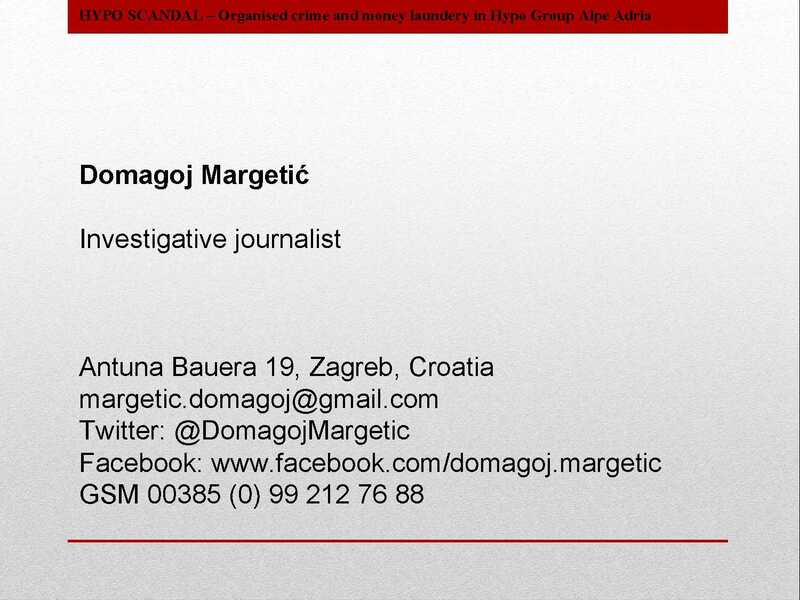 Petition is to support the investigative journalist Domagoj Margetic. About the reasons and aim of the hunger strike of Domagoj Margetic – please read his open letter to the public below dated 11th March, 2013, when he has started the hunger strike. ”This is my last attempt to set through my example to point out the extremely difficult existential and professional position in which Croatia’s investigative journalists have found themselves. 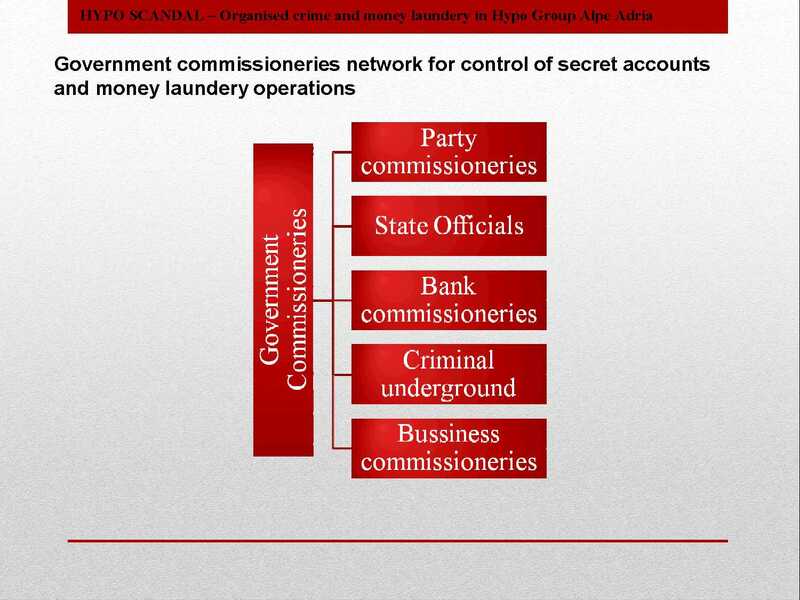 We sought to open cases and corruption scandals, which, because of their political background and because high-profile corruption which are networked institutions in this country, and to a certain political party, never should be published. So my fault and some of my colleagues is very clear: we wrote what was forbidden to write, we provide the public access to information that never should have become public. In short, we wrote and spoke about the forbidden truths. 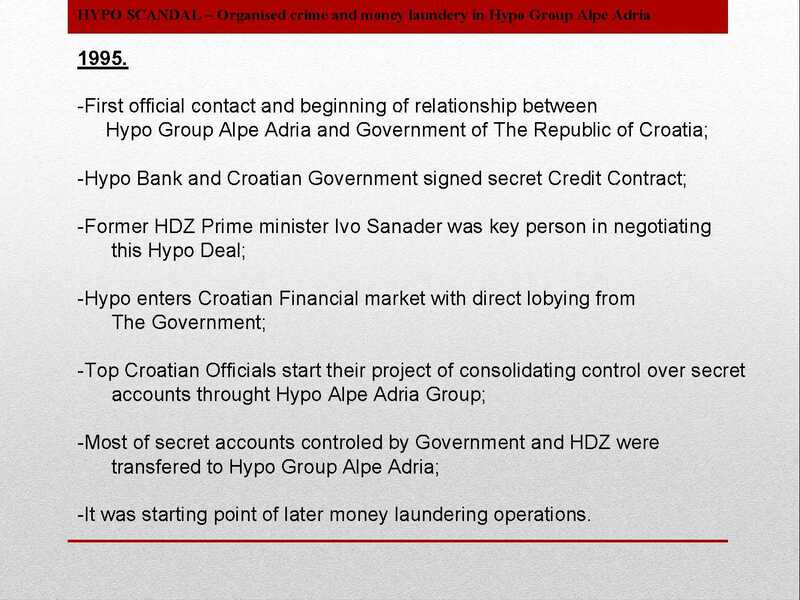 It is publicly known that I was the one of the first investigative journalist who researched, wrote and discovered some of the biggest corruption scandals in Croatia: Hypo scandal, political corruption in the Customs; Affair HAC; Case Soboli; Affair INA and smuggling oil through INA, cigarette smuggling, tobacco mafia and illegal conversion and privatization of TDZ and TDR; Case U.S.; Case Geotechnical Engineering; case secret bank accounts in Villach, Case of secret bank accounts at Privredna Banka; war crimes cases: Sijekovac, Brod, Mrkonjic Grad and Sisak; Affair on illegal conversions, privatization and illegal operations of the Bank of Zagreb, as well as cases of the Croatian Post, Croatian Postal Bank and the Bank of Dubrovnik. I am an Author of thirteen publishing books on topics of great corruption scandals and investigations of organized crime, most notably, “Who robbed Croatia?” (2003. 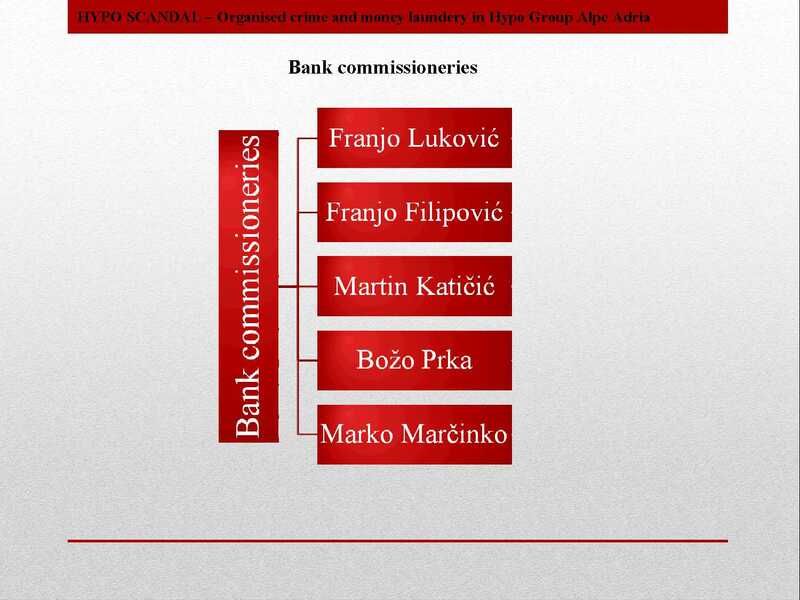 ), “Banking Mafia” (2008. 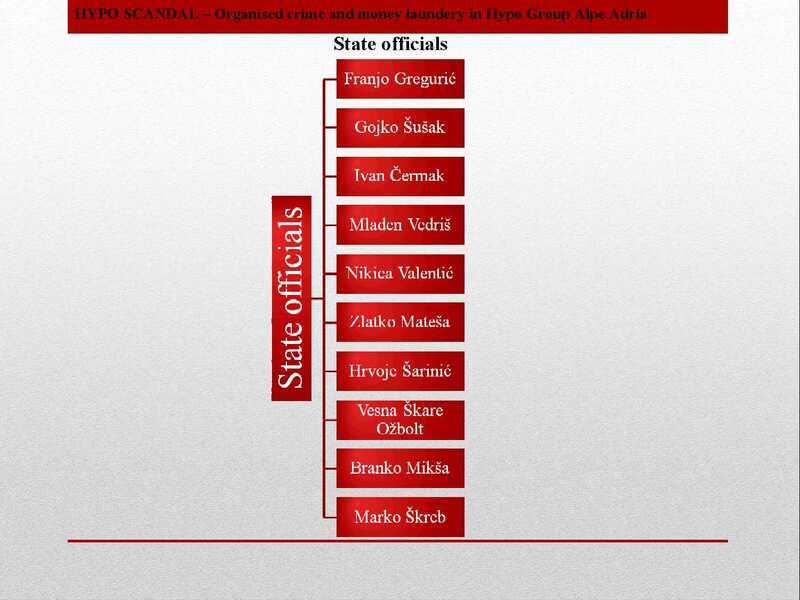 ), and “The Case Pukanic: Murder with states signature”(2011). 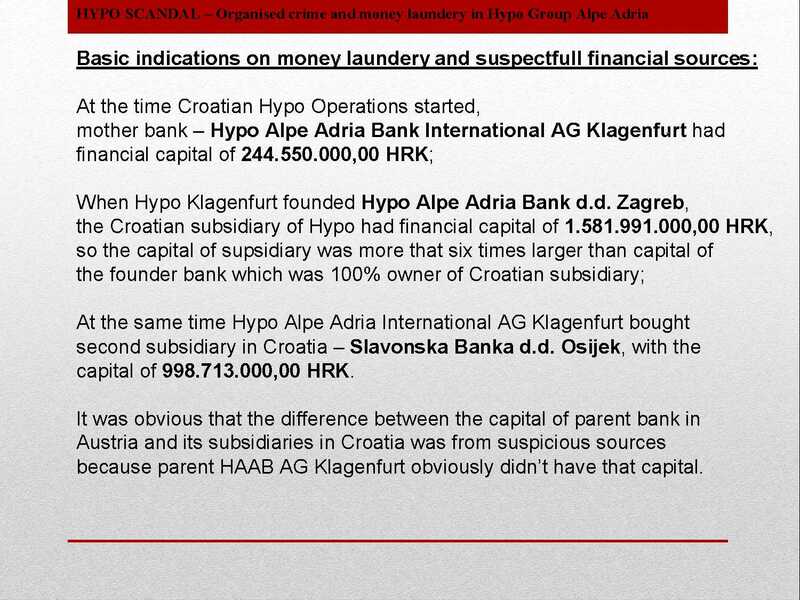 Still, of all the scandals that I’ve revealed and have written about, the biggest is Hypo scandal, international bankingscandal, in which there is documented evidence presented, the money trail from the Croatian secret accounts abroad, primarily in Austria and Lichtenstein, under control of members of the political and economic elite from Croatia; some documents from Hypo scandal reveals the amount that reaches 47.7 billion euros. 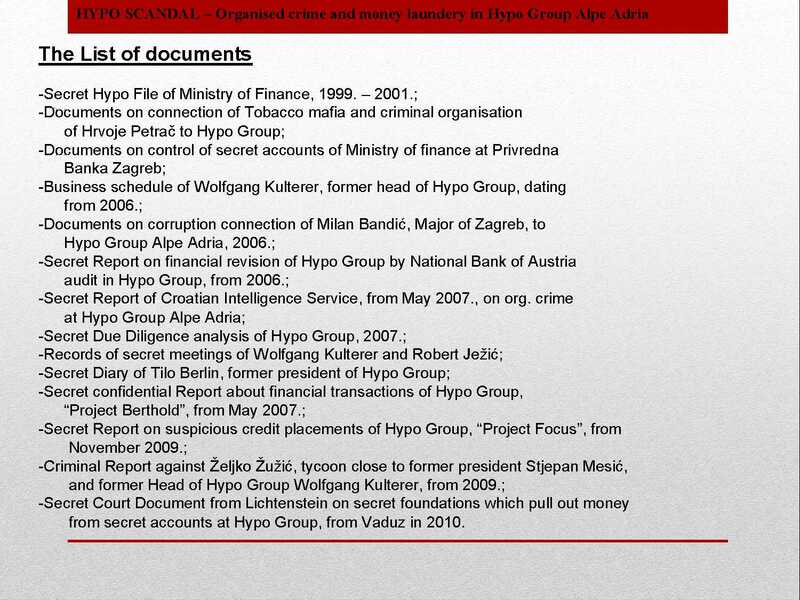 It is also known that I’ve, as an investigative journalist, first submitted documentation Attorney General’s Office on the case of Hypo – Mr Ivo Sanader– former Croatian prime Minister, back in April 2008. After that he had been under investigation, then filed charges and ultimately convicted with a criminal offense of war profiteering. 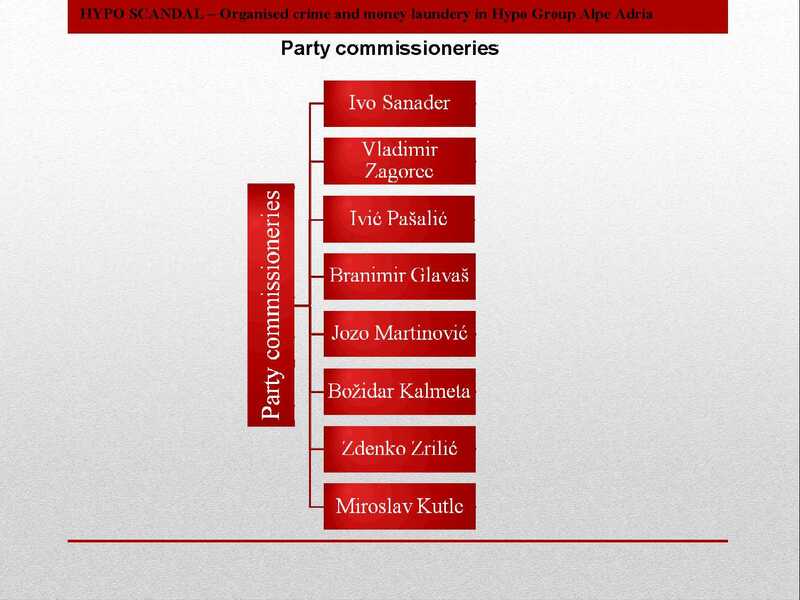 I had conceded all of mine research documents not only to investigating authorities, the police, the State Attorney’s Office and USKOK, but also the National Anti-Corruption Council in Parliament at the time the panel chaired by Dr. Zeljko Jovanovic and to investigative bodies of Austria who research Hypo scandal; I had worked closely with the late president of the Council for the Fight against Corruption Prime Minister Verica Barac. 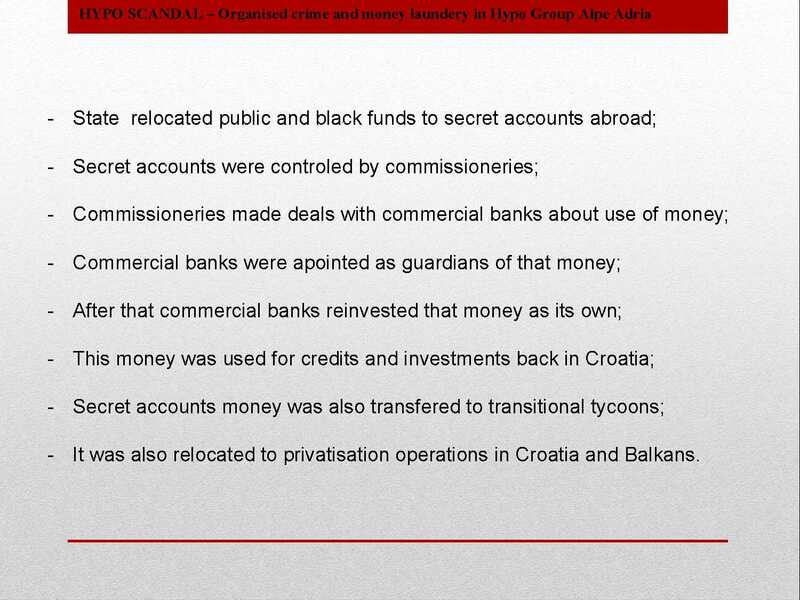 I’ve worked as a journalist solely in the public interest, so that the citizens who are affected by the information that I have researched, ensure the availability of data and documents about some of the biggest corruption scandals in modern Croatia, Hypo scandal and many consider the largest banking scandal in Europe after the Second World War. I have often worked against in a detriment of my personal interests and my family, to inform the public about my journalistic research. In the same time I had met with corruption deals, those strongmen who have learned to silence the media, who can buy and pay everyone. So they had offered me money for journalistic silence and cessation ofjournalistic research as representatives of the Hypo Bank, representatives of one of the tobacco industry, representatives of the Bank of Zagreb and, when they realized that I would not accept any amount that they offered me, it was followed by the threat of very powerful individuals, institutions and companies in Croatia. 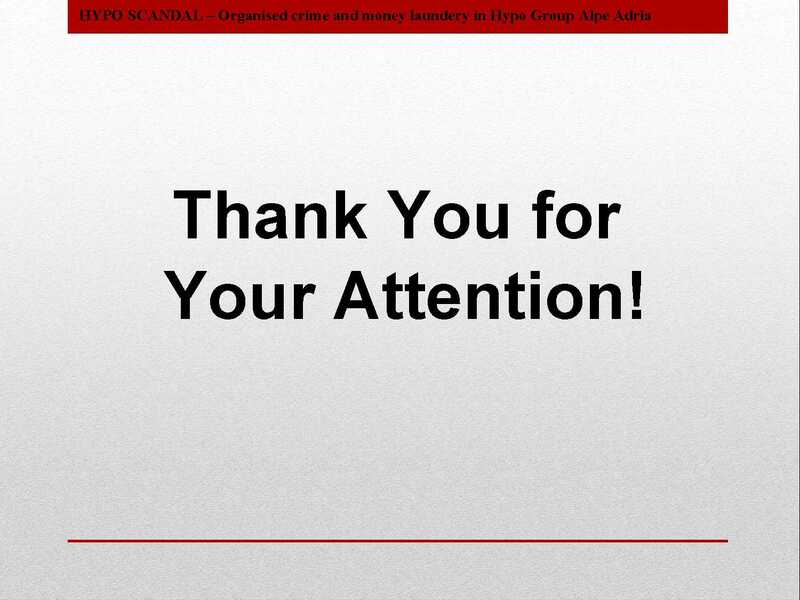 Along with those whose bids or offers to pay for my silence declined, with the help of the media in which they are paid “marketing services”, and with the help of journalists and editors who they kept on its black payroll, they started a campaign of where the main objective was to discredit me as a man and as a journalist; they were written and published numerous articles and offended me with various accusations, lies and slander, to discredited me in public as much as possible, my journalist questionable authenticity. So the media and journalists, who’ve often been involved directly or indirectly in the Hypo affair or other corruption cases, ran against me a dirty campaign for years in behalf of the mafia and corrupt politicians. On the other hand, those of whom I wrote about in this country, controlling everything from cash flow, the economy,politics, institutions, and the media, and since that I have not agreed to the settlement and haven’t made a deal with them because I did not agree to stop research and write about these corruption scandals, they have clearly made itknown that they would destroy me existentially if I won’t shut up, and if I won’t withdraw. Some of my colleagues were smarter, they would take the offered money, kept quiet about the affair, and today are prized journalists who don’t have to worry about their existence nor their family. I was obviously stupid, because I refused to take money in exchange for the silence. Because, in this society, in this country, in journalism, most tariffs are for the silence, and the lowest tariff for the truth. I obviously didn’t understand at the time. 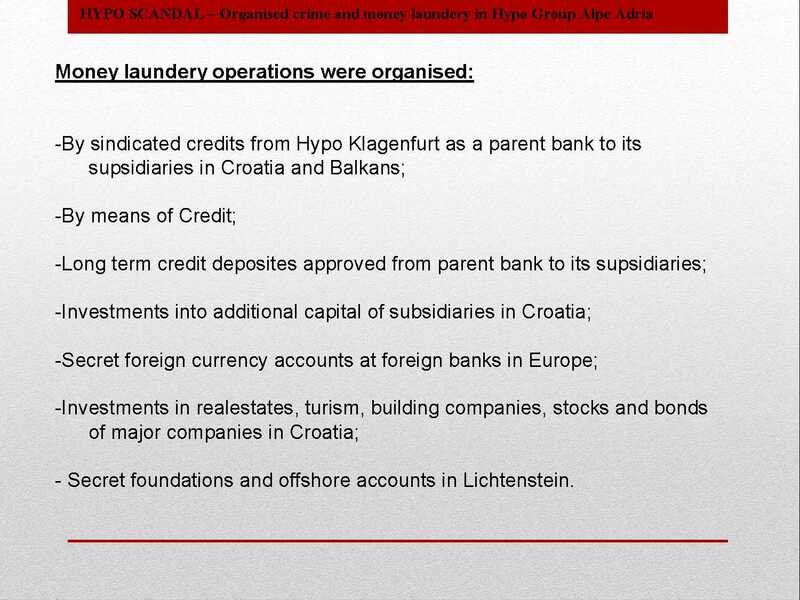 Capital of the major media in this country, is actually one way or another suspected criminal origin, about which I discovered many traces such as in my research Hypo scandal, in which involved are practically all the big media companies, their owners, or their leaders, and the media only served as a large laundry of dirty money stolen from the Croatian transition nineties. 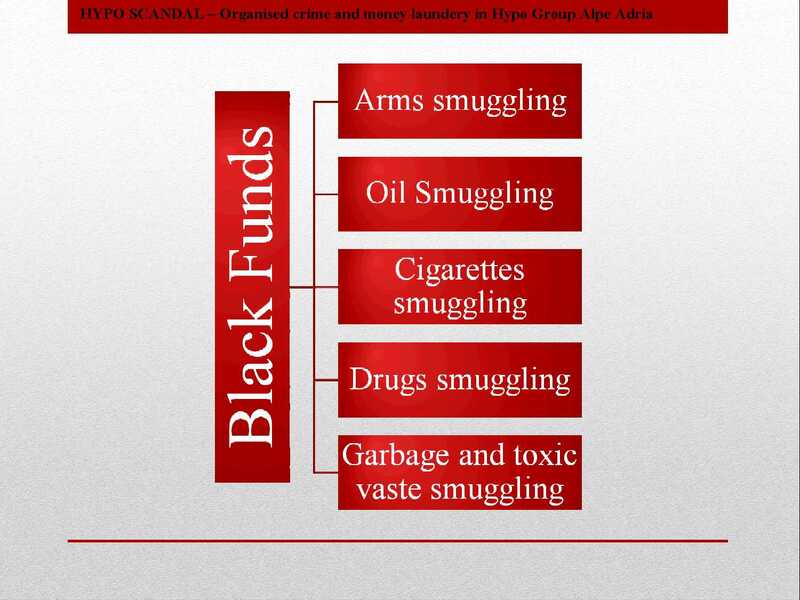 So even today, it is not advisable to explore the origins of capital in our media, and because research Hypo scandal, it is logical that I’m in all the media associated in any way with this scandal among the first names on journalistic blacklists. Because of my research I ended up on the blacklist of the public broadcaster HRT, and it was no secret that I’m on the list of prohibited persons to HRT, or on the list of banned visits and participation in any of the shows on the channel of HRT. 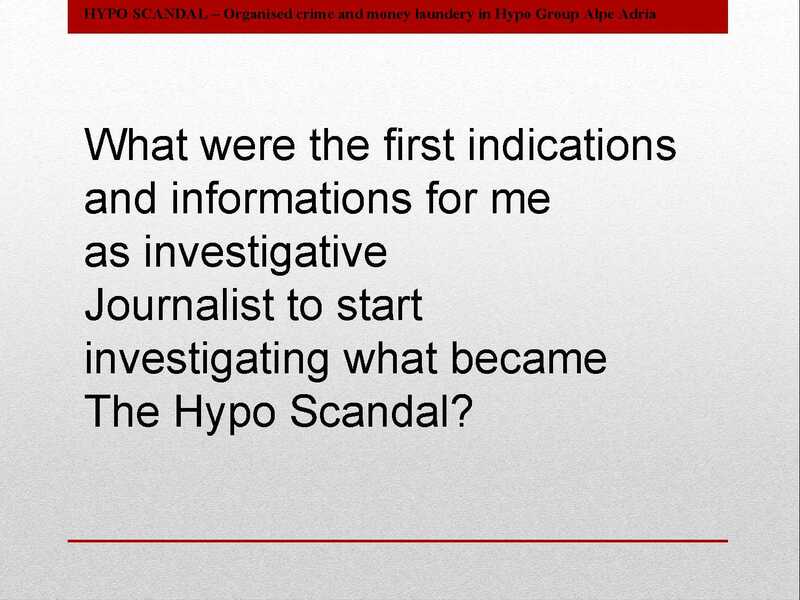 Besides, I am exposed to many other, judicial, police, security and intelligence pressures, to keep me shut up and stop in my journalistic research, primarily in research and writing about the Hypo scandal. And now I’m finally left on the street without any source of income, or no funds for normal existence. 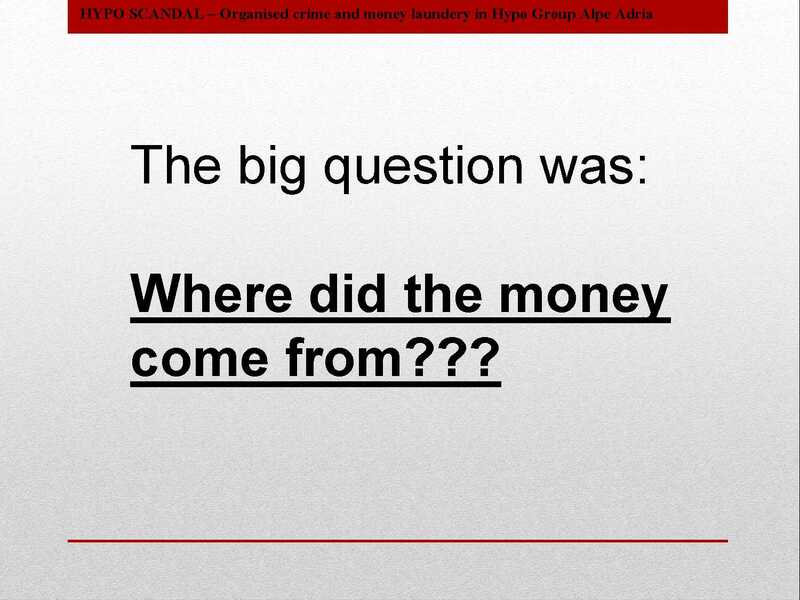 In other words, after all the scandals that Iuncovered, I was left to myself, no job, no income, no existential security. That’s’ the way how the corrupt politicians and criminals, their interests and networked connections, managed to get revenge for what I wrote about and published. I have no longer any means of livelihood, and in fact, the more I have no choice which means I fight for my journalistic rights, I will announce that within ten days at a public place in Zagreb, I’m starting a hunger strike to defend my journalistic rights; primarily my right that criminal power centers in this country don’t silence me with their mafia, corruption, criminal methods. They want me to die in silence of starvation, it’s their revenge for my journalistic work. Therefore I will starve in public, and what have happened to me, fall of conscience to all of you. If I was silent about corruption, if I like many others traded with information and documents, today I would have no financial problems and would not be forced to this letter, nor the public hunger strike. The lie is that the country and state institutions protect the rights of our journalists. 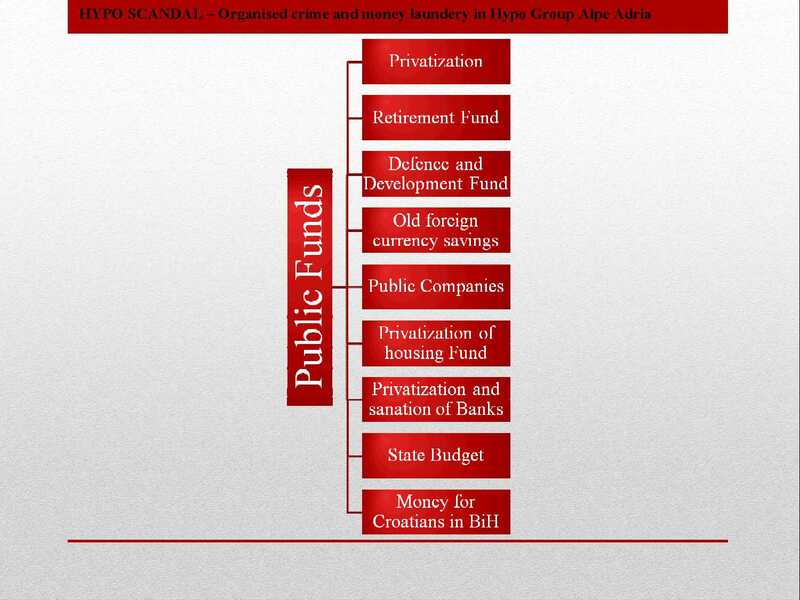 When we find major corruption scandals, our lives and our existence is not worth anything anymore. 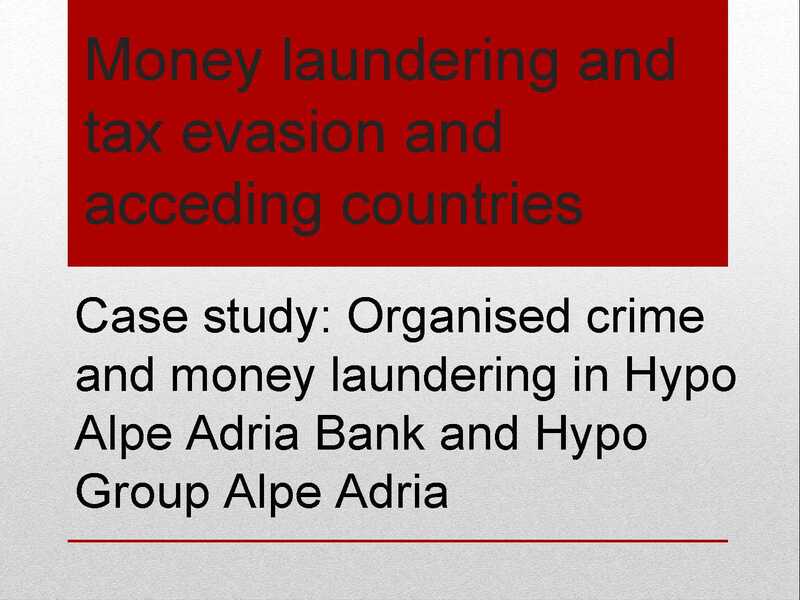 To the Mafia and the corrupt system we are an easy target to be removed, not always by physical liquidation, but worsen existence and sophisticated methods of silencing. One by one, while not silence us all, because you let them do it. Today in Croatia can work and survive only those journalists who are doing what they are told. Those journalists who respect the forbidden topic, do not write about them and can not speak, which corresponds to the owners of their media, sponsors, or political and business circles whose interests the media represents and protects. Most of the media in Croatia today do not work on the principles of journalistic ethics and codes of practice, rather on the principles of media racket and media crime, and major media outlets often actually serve as a criminal money laundry for suspicious investors and shareowners that hidden behind certain media, thus hiding from the public and a genuine interest in the existence and the activities of individual media. Above all, I demand that the process of proposing and adopting the whistleblower protection Law on corruption begin, which would protect journalists, who explore, discover, write and report on cases of corruption and organized crime. If such a law was passed on time, it would not be possible to become an investigative journalist and banned just because I discovered and wrote about the corruption scandals that I mentioned earlier in the letter. I demand that the institutions of the European Union continue to monitor the process of completing the requirements for membership of the Croatia, especially in regard to the protection of media freedom and whistleblower protection Law on corruption and organized crime. It would be desirable that the European Union reconsider accepting the Croatian membership until the conduct additional surveillance respect journalistic freedoms and rights, human rights and civil liberties, whistleblower protection Law on corruption and organized crime, who are citizens of Croatia in the third row, and in practice almost people with no rights. I demand from Croatian institutions to publicly answers why I am on “Black lists” of banned journalists, on what basis are set these criteria and how they prepare such black list of journalists? 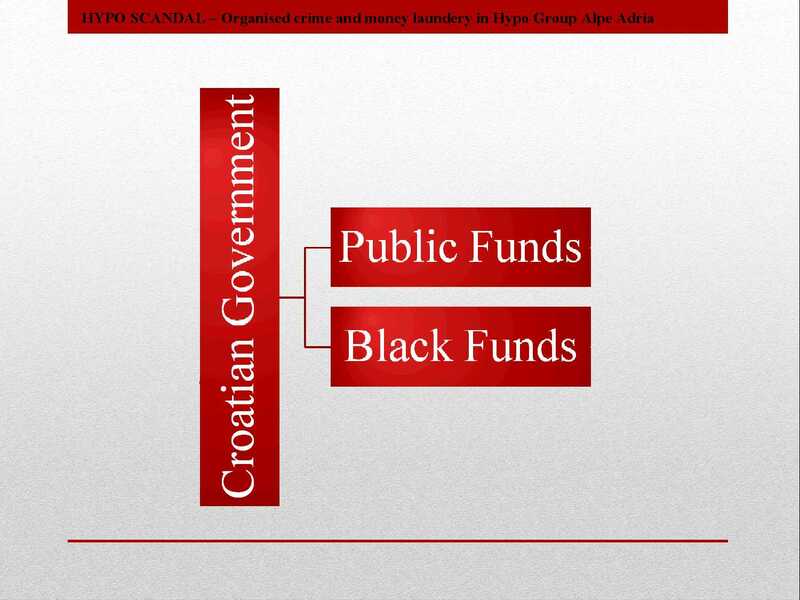 If such a black list does not exist, I demand that the state institutions plainly manifest in public recognition for journalistic research in uncovering corruption and organized crime in Croatia, which would have made it public knowledge that the “black lists” of disobedient journalists in this country has finally come to an end. 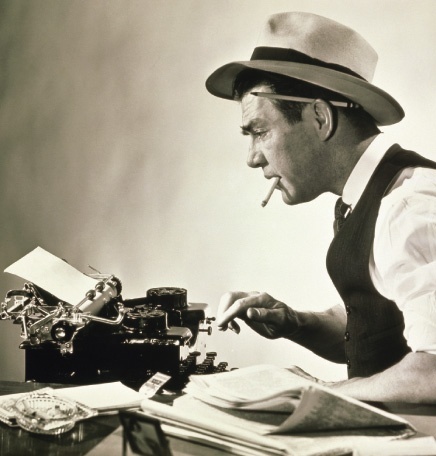 I demand that in Croatia I can be uninterrupted, uncensored investigative journalist to do my job, regardless of what political, financial, gangster, business, banking or other lobbies and groups I’m researching and writing, which is not the case for all the reasons that I have stated in a letter and that I can always argue further. For all these reasons, on 11th March 2013. I begin a hunger strike in order not only to achieve the objectives set forth, but also pointed to the disastrous situation of media freedom in Croatia, especially when talking about independent investigative reporters who deal with major corruption scandals and investigation of organized crime. Such is to be silenced at all costs. The goal is to silence us, so my hunger strike remained the only means to combat these forms of censure and restricting media freedom and rights.